The Creative Cooking Crew is starting off the year with a challenge for which I spent months begging! I wanted so badly to have a dim sum/dumpling challenge, and I can't think of a better way to start off 2014! 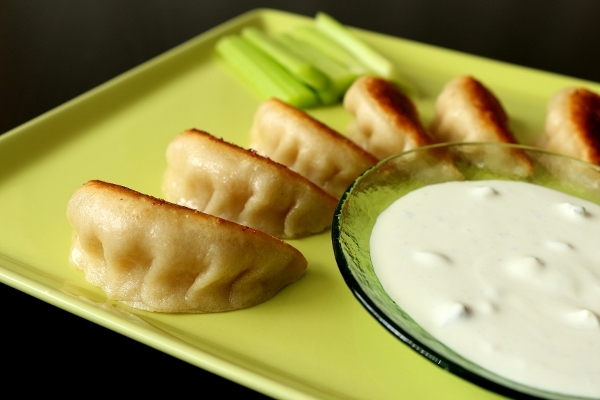 There are of course different kinds of dumplings from cultures all around the world. 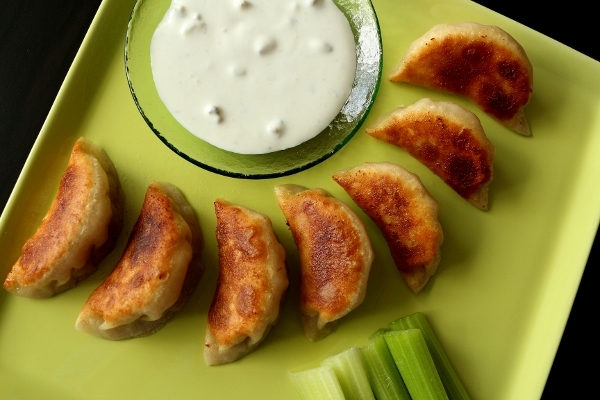 That's one of the things I love most about dumplings, their incredible versatility. 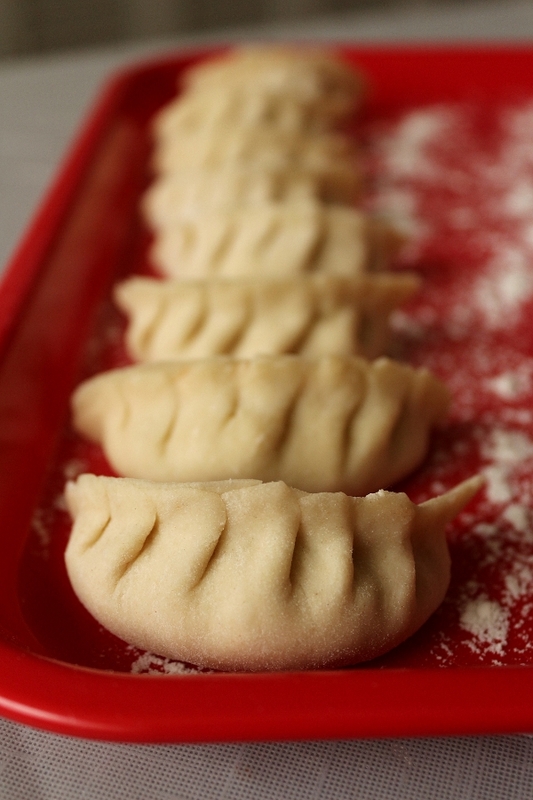 I have shared countless dumpling recipes on my blog over the years, and one of my points of pride is my insistence on making them completely from scratch, including the dough, where many people usually opt to use shortcuts. In my humble opinion a dumpling is so much more than just its filling, and therefore making a really fantastic wrapper elevates it beyond the norm. Instead of making a traditional dumpling from one of many cultures around the world that have delicious variations, I decided to make an Americanized Chinese-style dumpling (Asian fusion, if you will). I'm not gonna lie, I was mostly inspired by the NFL playoffs (and my beloved New England Patriots who are headed to the AFC Championships this upcoming weekend!). 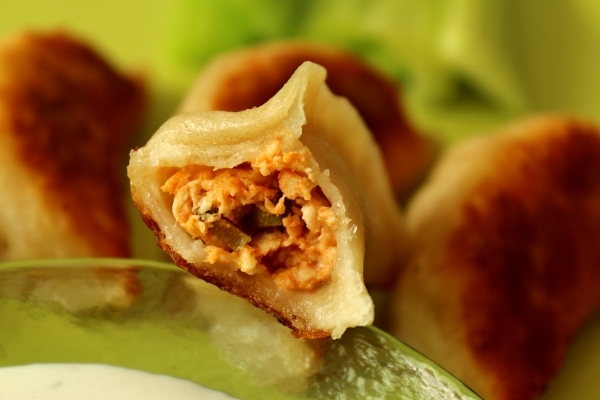 Buffalo chicken dumplings have been on my list of "things to make with Buffalo chicken" for a really long time. It seems fitting to finally marry my love of dumplings with my undying love for Buffalo chicken (which anyone reading my blog should be VERY much aware of by now). The recipe is very simple. The filling begins with the most basic components of Buffalo chicken: chicken, celery, and hot sauce. 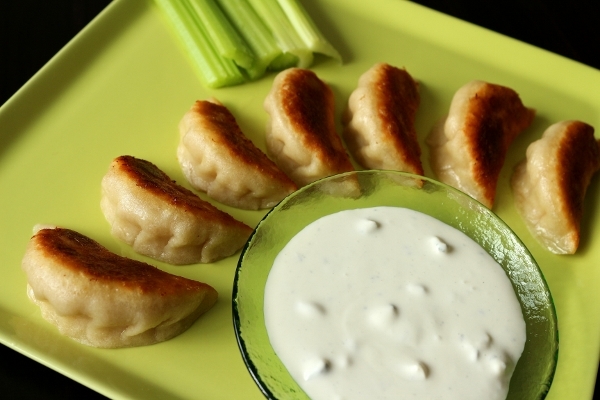 The blue cheese finds its way quite easily into the form of a dipping sauce. You can certainly use store-bought blue cheese dressing, but it really is so much better when made from scratch as I've done here. 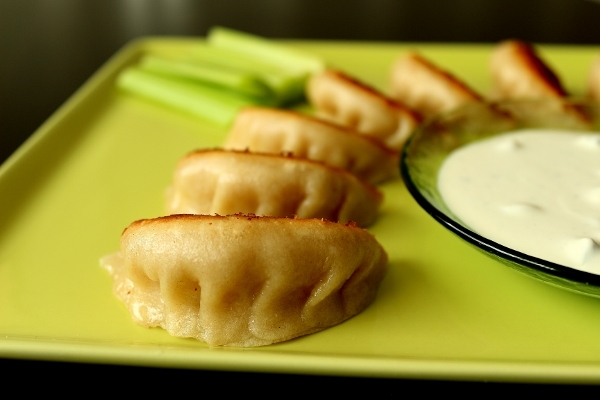 I also opted to pan-fry these dumplings although for a brief instant I considered steaming them. The crispy, chewy crust that pan-frying yields is reminiscent of the awesome crunchy skin of a properly made Buffalo chicken wing (there's nothing worse than chicken skin that isn't crispy enough). 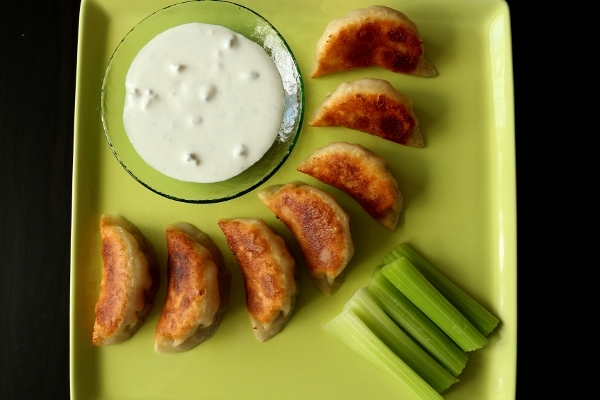 Along with it's crisp and chewy wrapper, these Buffalo chicken dumplings feature a truly stellar juicy Buffalo chicken filling with bits of vibrant green celery. The spiciness is tame for any of you who aim to burn off your taste buds, but the Buffalo chicken flavor is perfection. If you're looking for lava-hot dumplings, add more hot sauce. Check out the round up of dumplings from the Creative Cooking Crew on January 27th at Foodalogue. Oh yeah, and GO PATRIOTS!!! To make the filling: first mince the chicken by pulsing it in a food processor until it's fine with small chunks but not a puree. Transfer the minced chicken to a mixing bowl. Add the remaining filling ingredients to the mixing bowl. Stir in one direction for about 2 minutes or until all ingredients are uniform and liquids are completely absorbed by the meat. Refrigerate the filling until needed. To make the dough: place a large mixing bowl over a damp paper towel on your work surface, to keep in place while mixing. Add the flour and make a well. Use a wooden spoon to mix the flour while you add the water in a steady stream. Mix together until you have a lot of lumpy bits, then knead the hot dough in the bowl until the dough comes together. Add water by the teaspoon if the dough does not come together. To make "pleated crescent" shapes (as photographed), make the first pinch between index finger and thumb, then fold over the front edge to form the first pleat and press it against the back edge. Continue pleating the dough in this fashion until making the final pleat and then settle the dumpling on a work surface and press the edges to seal well. Alternatively, to make "pea pod" shapes, fold the edge of the wrapper closest to you to meet the top edge and pinch together to seal well. 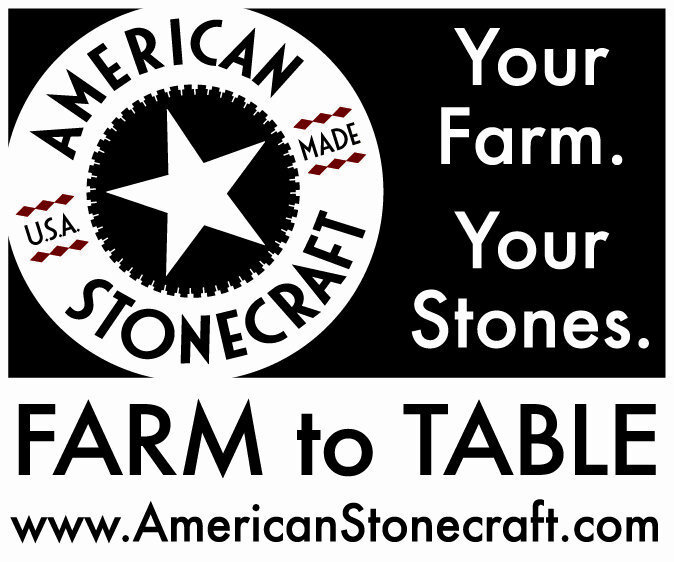 Place on your work surface and press gently to steady the dumpling and make it sit flat. 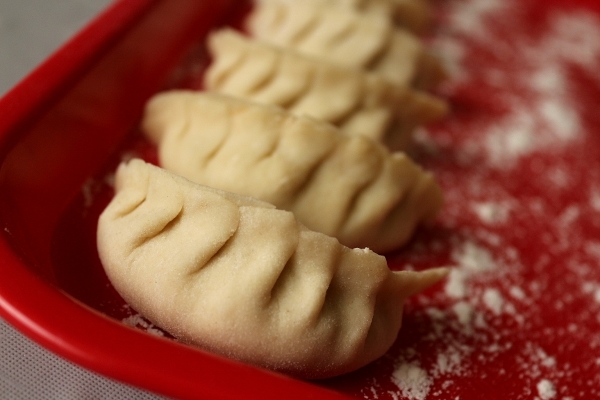 Fold the sealed edges of the dumpling to make a series of pleats from one end to the other. Serve with blue cheese dressing in a communal bowl or in individual dipping sauce dishes, along with some fresh, crisp celery on the side. Enjoy!